In a comparative study, Nynas researchers conclude that a heavy specialty oil is a viable alternative to bright stock in grease formulations. It is cost-effective and offers equivalent or better performance. The one drawback: it only comes in black. "Any colour, as long as it’s black.” Henry Ford’s famous words referred to the rationalisation of early 20th century car production. The introduction of the assembly line made black the mandatory colour for his mass-produced cars, as black paint dried more quickly than any other colour. A century later, the ongoing global rationalisation at oil refineries threatens to have an impact on the future availability of paraffinic bright stock. 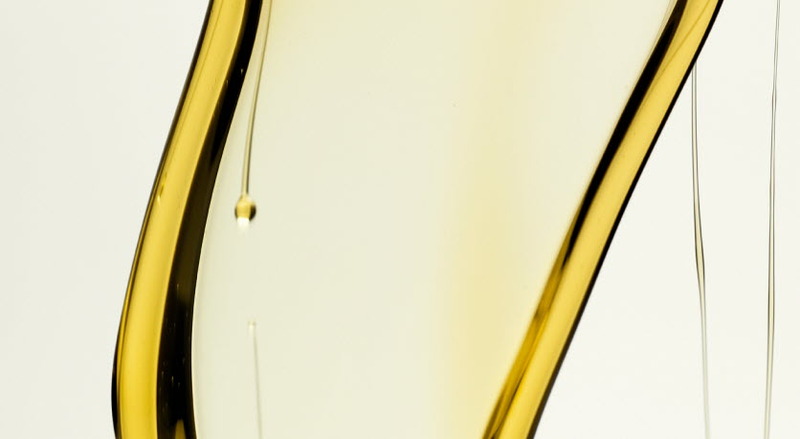 The rationalisation of Group I production has led lubricant formulators to evaluate alternative base oils. 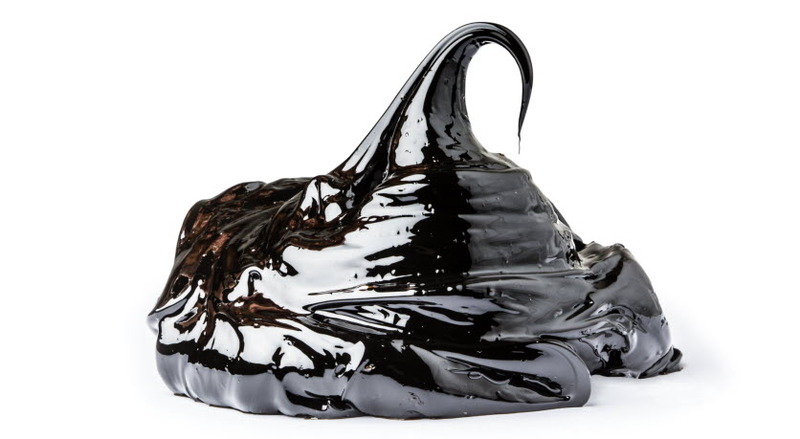 To serve this alternative market, Nynas has developed a highly viscous base oil (BBT 28) containing a product stream that makes it as black as the early Model T Fords. However, the colour is its only drawback. A comparative study shows that this base fluid can be used as a cost-effective and, in some cases, better-performing alternative to bright stock in various applications. Table 1. The characteristics of the base oils. Table 2. The characteristics of the greases. For applications where higher film thickness is required, bright stocks are usually combined with solvent neutral 500 (SN500) or other more viscous oils to create blends of suitable viscosity. To explore the potential of BBT 28 as a substitute for bright stock in grease formulations, several greases based on different viscosities were prepared and characterised. In addition to BBT 28, two paraffinic oils: bright stock 200 (BS200) and SN500 were chosen. Three different viscosities (235, 370 and 505 mm2/s) were prepared by diluting BS200 and BBT 28 with SN500 respectively. The characteristics of the base oils and the different blends can be seen in Table 1. A, B and C are blends of the two paraffinic oils (SN500+BS200), while A', B' and C' are blends of paraffinic and naphthenic oils (SN500+BBT 28). The grease samples were prepared in an open kettle where the blends were used. The target for these samples was NLGI grade 2. None of the greases used in this study contained additives. Based on the measured properties of the greases, shown in Table 2, some interesting behaviours for BBT 28 based greases can be gleaned, such as lower thickener content, good mechanical stability and superior water spray-off. The load-carrying capacity of the grease samples was measured using a four-ball machine. The wear scar of all six grease samples indicates that there is no significant difference between the samples. This is an interesting result, as greases A', B' and C' contained less thickener and had a lower viscosity index than greases A, B and C respectively. Lubricating grease is a viscoelastic material, in other words a material with a viscous part (the base oil) and an elastic part (the thickener). Parameters such as temperature and shear stress affect the oil and the thickener differently. The flowability of the grease sample under controlled conditions can generate valuable information regarding the storage or elastic modulus (G') of the grease, which could be interpreted as the real consistency of the grease at the applied temperature. In an attempt to study the rheological behaviour of the greases described above, a strain sweep program was applied in which the frequency and the temperature were kept constant (at 10 rad/s and 25 °C), and the strain was increased logarithmically from 0.01 to 1000%. Figure 1 describes the elastic modulus as a function of the strain for sample B and B'. G' is 13605 Pa for B and 878 Pa for B', which is in line with the samples’ thickener content of 6.6% and 4.8% respectively. Notably, they have the same penetration number after 60 strokes. However, the linear viscoelastic region (LVR) for B' appears to be greater than for sample B. This is indeed interesting as it indicates that sample B' is a more mechanically stable product than sample B. The low-temperature behaviour of the greases was investigated by using a temperature sweep program, from +50 to -30 °C. The change in G' was measured as a function of the temperature. Figure 2 shows the obtained results for A, B and C and Figure 3 for A', B' and C'. 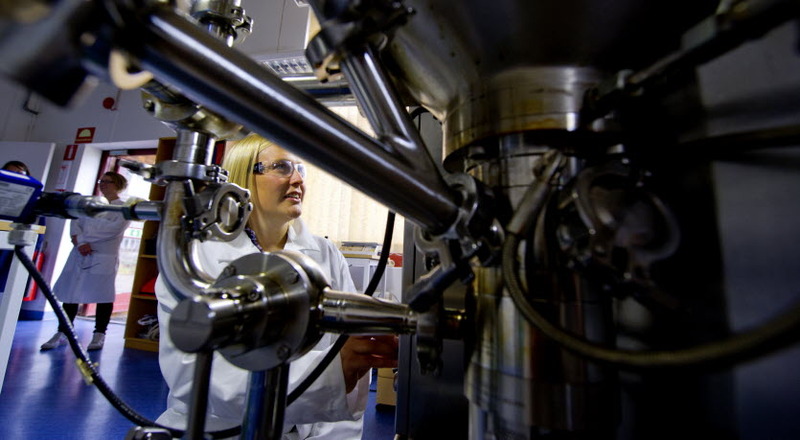 Differential scanning calorimeter measurements were made, and the results support the rheological behaviour of the greases at low temperature. a) The change of the slope for greases A, B and C is around -5 °C, which can be attributed to the presence of bright stock (BS 200) and the subsequent assumed wax formation, although all paraffinic blends display a low pour point at -12 °C. b) All paraffinic-based greases have a significantly higher G' at -30 °C than the paraffinic/naphthenic-based greases. This is due to the impact of the further wax crystallization of the bright stock. However, it is reasonable to assume that SN500, at least, is not the main source of this increase since both greases contain SN500. Figure 4 shows the viscosity as a function of the thickener content for various oil blends. Here, the BBT 28 naphthenic oil was blended with paraffinic oil (SN500) and another naphthenic oil (T 110) respectively. As can be seen, the use of naphthenic oils (T 110 + BBT 28) clearly reduces the thickener content, and BBT 28 on its own results in the lowest thickener content. - Significant reduction in thickener content. - Better mechanical stability despite lower thickener content. - Very good water spray-off, probably due to the higher adhesivity of BBT 28. - Similar wear scar as the bright stock based greases despite lower thickener content and lower viscosity index. However, the overall conclusion should be that it is possible to provide a substitute for bright stock in grease formulations with equivalent or better performance. Consequently, a more cost-effective grease formulation can be achieved, assuming the colour is not an issue. (Ford enjoyed record sales following the introduction of its all black model.) The study was presented by Mehdi Fathi-Najafi at the NLGI conference in Tucson (USA) on June 17, 2013.